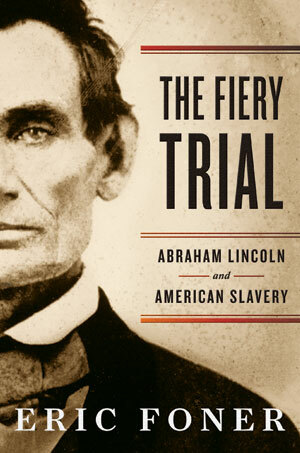 Winner of the 2011 Pulitzer Prize in History, the Bancroft Prize, and the Lincoln Prize: from a master historian, the story of Lincoln's—and the nation's—transformation through the crucible of slavery and emancipation. In this landmark work of deep scholarship and insight, Eric Foner gives us the definitive history of Lincoln and the end of slavery in America. Foner begins with Lincoln's youth in Indiana and Illinois and follows the trajectory of his career across an increasingly tense and shifting political terrain from Illinois to Washington, D.C. Although “naturally anti-slavery” for as long as he can remember, Lincoln scrupulously holds to the position that the Constitution protects the institution in the original slave states. But the political landscape is transformed in 1854 when the Kansas-Nebraska Act makes the expansion of slavery a national issue. A man of considered words and deliberate actions, Lincoln navigates the dynamic politics deftly, taking measured steps, often along a path forged by abolitionists and radicals in his party. Lincoln rises to leadership in the new Republican Party by calibrating his politics to the broadest possible antislavery coalition. As president of a divided nation and commander in chief at war, displaying a similar compound of pragmatism and principle, Lincoln finally embraces what he calls the Civil War's “fundamental and astounding” result: the immediate, uncompensated abolition of slavery and recognition of blacks as American citizens. Foner's Lincoln emerges as a leader, one whose greatness lies in his capacity for moral and political growth through real engagement with allies and critics alike. This powerful work will transform our understanding of the nation's greatest president and the issue that mattered most.